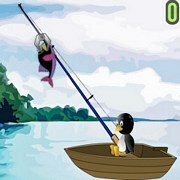 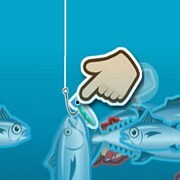 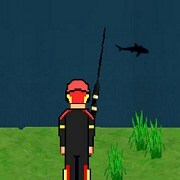 Description: In Harpoon Lagoon you play as a heavy set guy that is fishing on a tiny boat. 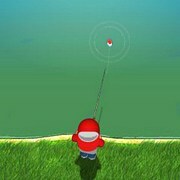 The boat can barley move, so when fishing you need to make sure your aim is spot on! 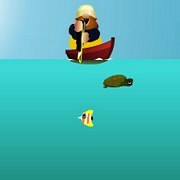 Catch fish, turtles and treasure for score. 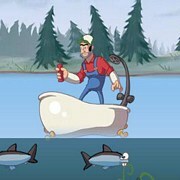 Its an ok game, decent enough! 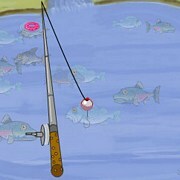 Instruction: Try to meet the money goal before your time runs out to make it to the next level. 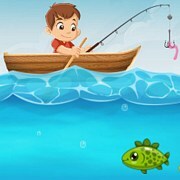 catch fish and collect treasure as fast as you can, avoid catching anything else!